So you’ve just noticed a new quartet of teeth have started erupting behind your molars. Will you be one of the more than 85% of people who get their wisdom teeth removed? Why do wisdom teeth exist? It’s confusing, we know. Your body has had years to get caught up on growth – why is it waiting until now to grow this new set of teeth? While we’re not 100% sure why wisdom teeth exist, the leading theory is that they’re your body’s very own form of dental insurance. Before modern dentistry, people were much more likely to lose their teeth than today. To help manage this, our bodies evolved to sprout four brand new teeth to replace any that you (probably) would have lost over the years. Of course, losing teeth isn’t really an issue modern society has to deal with anymore! The result is problems with overcrowding. The human jaw can only fit so many teeth – in most cases, adding an extra four is pushing it too far. The human jaw only has a finite amount of space. In many cases, adding an additional four teeth simply doesn’t work – often, it can also cause major dental problems! Left unchecked by a professional dentist in Armadale, the growth of a wisdom tooth may result in sudden pain and discomfort. If you start feeling any of the following problems pop up in your mouth, it may be time to book a trip to your Armadale dentist to talk about your wisdom teeth! At Dental Care Group, we have a saying: if it hurts, it’s a dental emergency! And unfortunately, that’s an all-too-common side-effect of wisdom teeth. Your wisdom teeth don’t care that you don’t have enough space to fit them – they will erupt regardless. In many cases, that results in wisdom teeth growing into your other teeth. We in the dental profession call this “impacted teeth”. What happens is your wisdom teeth press up against existing teeth, pushing them out of place. The result? Intense pain at the back of your mouth which might also make its way to the side of your jaw and into the bones, gums, and surrounding teeth. 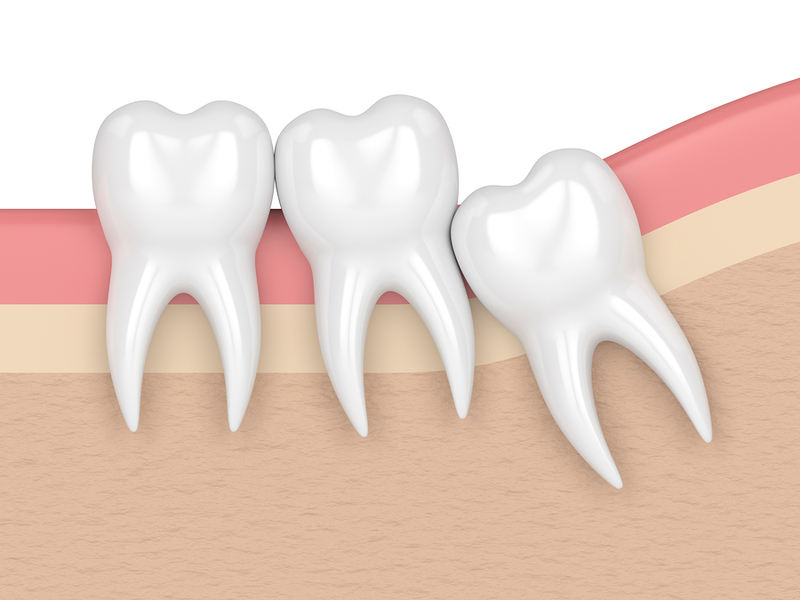 The wisdom tooth eruption begins on the surface of the gums where the tooth may swell and bring about redness. As a result, swelling, inflammation and generally irritated gums are another common side-effect of wisdom tooth eruption. In our experience, this comes with its own fair share of problems – for example, bleeding when you brush or eat. Not to mention, inflamed gums also make you more susceptible to gum diseases like periodontitis or gingivitis. What if you don’t experience pain? Did you know in many cases, people have visited us as part of their regular dental routine only to discover then that their wisdom teeth were about to erupt? That’s right – no pain or discomfort led them to this conclusion. It was simply during their regular dental check-up that we identified their impacted teeth, just about ready to erupt! The moral of the story is that you don’t necessarily need to be in pain in order for us to recommend getting your wisdoms removed. So don’t skip those biannual check-ups! 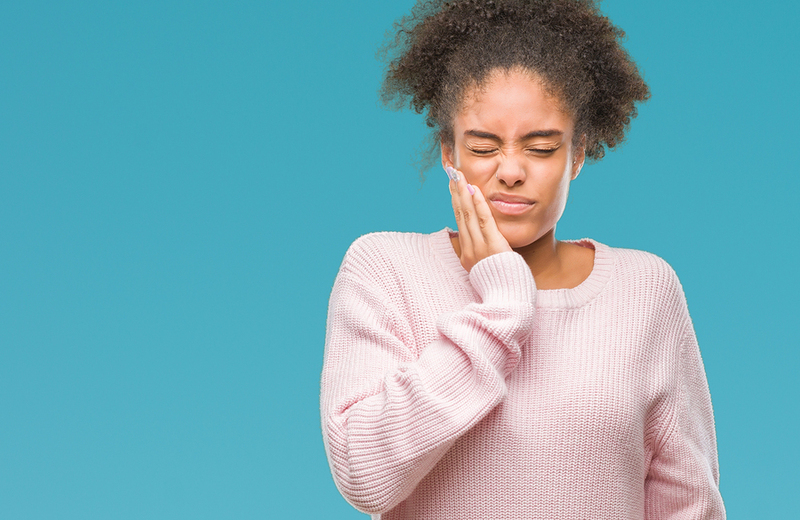 Whether the pain is sudden or has been building for some time, you’re experiencing aches in the back of the mouth – all signs point towards erupting or impacted wisdom teeth. First thing’s first: if you’re in pain, call us! Like we mentioned above, we follow a mantra: If it hurts, it’s an emergency. Our emergency dentist is on call 24 hours a day – not many other dentists will offer this service! So if you’re in pain, give Dr Zelman and the team a call anytime for instant advice and support: (03) 9509 1500. If pain is manageable or you’ve even just felt with your own tongue the slightest inclination of a new tooth coming through, we urge you to book an appointment with us as soon as possible. Our state-of-the-art technology, including x-ray machinery, will quickly identify the status, location, and orientation of your wisdom teeth. Once we know what’s happening in the back of your mouth, we’ll advise the best course of action – likely removal – and we’ll help you organise everything. Available in most pharmacies, soothing gel is essentially a local anaesthetic cream. And just like the anaesthetics used by your dentist, no injections are needed – smear a coating on the affected parts of your gums and wait for it to work its magic. While ice doesn’t speed up the recovery process (and can even slow down healing), it’s great at reducing felt pain. If you have an ice pack sitting around, press it against the side of your face to numb any throbbing pains. It’s important to note that the above solutions are merely temporary fixes. They’re all about soothing the pain that you’re feeling as you await your dental appointment and your permanent fix. In most cases, we may recommend wisdom tooth removal as a proactive measure. If we come to the conclusion that your wisdom teeth are likely to cause you trouble further down the line, we might recommend getting them removed now. Want to learn more? Here’s how wisdom teeth removal works! Get relief for your wisdom teeth pain from an Armadale dentist! Your teeth don’t need to cause you intense pain and discomfort when you have an Armadale dentist by your side! Even if it isn’t your wisdom teeth specifically, we can help. 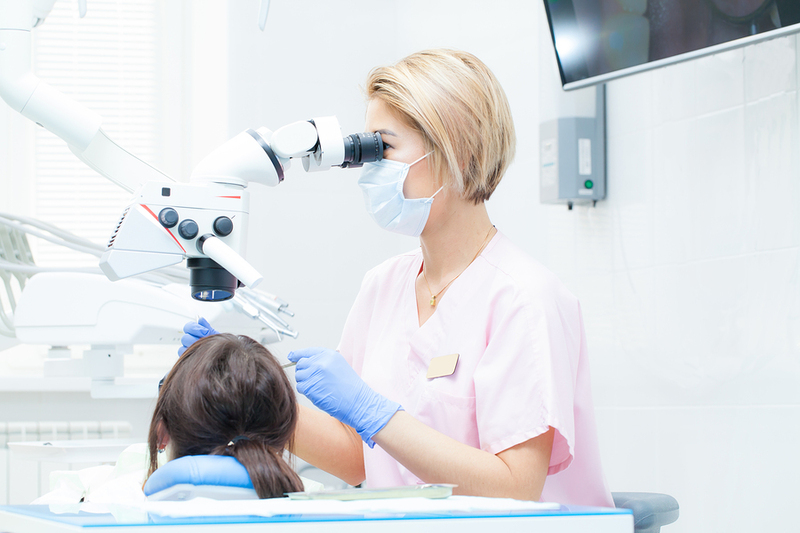 We offer all sorts of emergency dentistry – give us a call on (03) 9509 1500 for immediate advice, and remember, when you call before midday, we’ll see you before end of business day. Prefer to book online? Click here to schedule your appointment.